Many people including myself have wondered why Google has done much to combat the potential threat of Facebook. 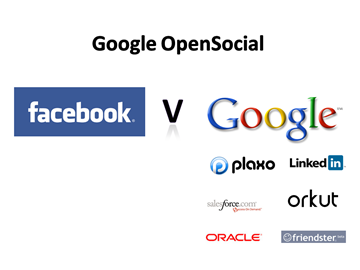 Well that was until Tuesday when Google announced OpenSocial, a framework that will allow developers to create applications to work on any social network that participates. 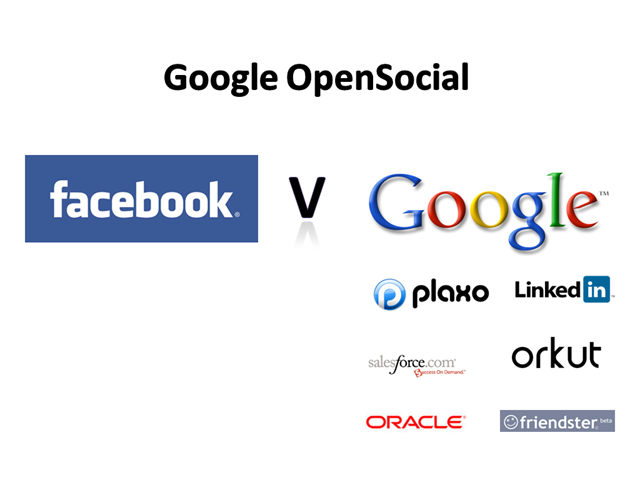 So cleverly, Google has decided not to enter a big team into the social network game, just asked the other networks would they like to play in its back garden, OpenSocial. A person briefed on the plans said the sites in the alliance had a combined 100 million users, more than double the size of Facebook. Partners are in two categories: hosts and developers. Hosts are the participating social networks, and include Orkut, Salesforce, LinkedIn, Ning, Hi5, Plaxo, Friendster, Viadeo and Oracle. Developers include Flixster, iLike, RockYou and Slide.